Flames climb trees. Scorched meadows radiate heat. All that beautifully protected acreage. We hate to see the Park burn. They’ve closed Going-to-the-Sun Road. Will they keep it blocked-off until next June when the snow melts? Smoke plumes rise over the Divide, visible to Kalispell residents and folks hours away. I’ve heard the wind has lately been kind enough to push the smoke northward. A smoky haze is the hallmark of August in the Flathead Valley. The sun blazes orange and the campfire air burns your throat. But the Northwest corner of Montana (and the United States) has often smelled like August since the clouds dried-out in early June. 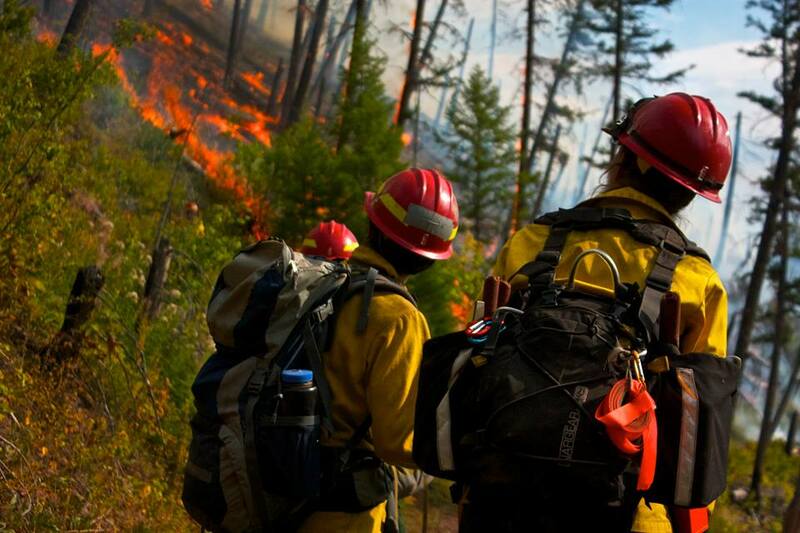 It’s been a rough year for wildfires in the Northwest. 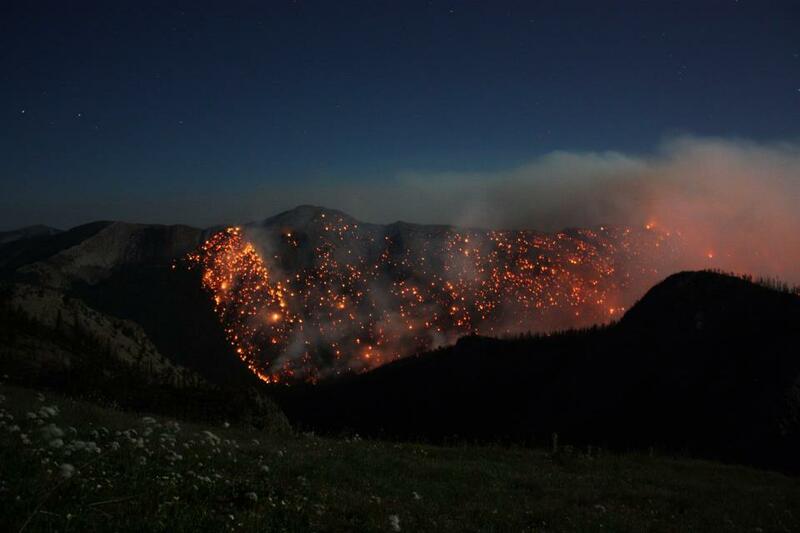 I wonder about the proximity of the fires to landmarks and towns and homes. Who will lose their livelihood and memories? One summer, while on break from college, smoke churned like a tornadic system just over the next ridge. We assumed a stand-by status and watched helicopters scoop lake water. We thanked God when the crews contained the fire. Wildfires are a spotty, scary force of nature that excites and terrifies us. Kids chase them like amateur storm chasers speed after rotating super cells. When the flames shift and the wind picks up, the unpredictable monster reminds us of our vulnerability. Fire is nothing to mess with. My husband preached about fire this past Sunday. From the Book of James he read, “Consider what a great forest is set on fire by a small spark. The tongue also is a fire.” (James 3: 5-6). Consider how our words, like tiny sparks, create undoable damage to those around us. Consider how those tiny sparks set entire forests ablaze. The smoke chokes out clarity. The heat radiates and keeps others at bay. Perhaps they pack up and head for safer regions. Speech is a powerful, detrimental force. We must take care to bridle our tongues. We must take care to breathe life and not destruction. We must also remember that fire can be a beautiful thing. When wildflowers emerge in the Park this spring, we will know that this is why the fires must blaze. Fire blazes to clear out the brush and the overgrowth that so dangerously entangled the forest. It blazes that the trees might reach new heights and that the meadows might flourish. So it is in our lives. The Holy Spirit, described as a fire in Matthew 3, cleanses us (Isaiah 6:7) and refines us (Psalm 66:10; 1 Peter 1:6-7). He clears out the “sin that so easily entangles” (Hebrews 12:1) that we might be made holy and beautiful for His purposes. Prayer: Has someone caused a fire in your life? Have you sparked a fire? Or, are has the Lord allowed trial and pain in your life to refine your heart? Pray today for discernment and direction.